Top notch Pediatric and Orthodontic care in one location! Conveniently across the street from our general dental office, Dental Associates KIDS Danbury can give your children the healthiest smiles possible. Young patients will love the wildlife-themed decor and fun activities and our kind and caring staff will help easy any fears they may have, ensuring the best possible experience. Dr. John Iwasaki specializes in Pediatric Dentistry at Dental Associates. 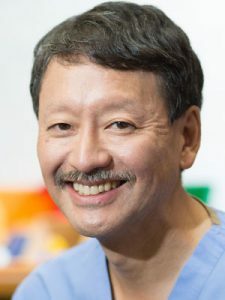 Dr. Iwasaki received his Bachelor of Arts degree at Grinnell College in Iowa; his Doctor of Dental Surgery (DDS) at the University of Colorado Dental School; and his Master of Science in Pediatric Dentistry at the University of North Carolina at Chapel Hill. Dr. Gund specializes in Orthodontia and has practiced in our Danbury office since 1992. 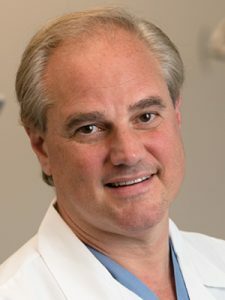 He received his Doctor of Dental Surgery (DDS) from Columbia University School of Dental and Oral Surgery. Dr. Gund has been recognized by the Invisalign® Corporation as one of the top 100 doctors in the country using the Invisalign invisible braces. Dental Associates KIDS Danbury is located right across the street from our general dentistry office, making it very convenient to keep your whole family smiling!